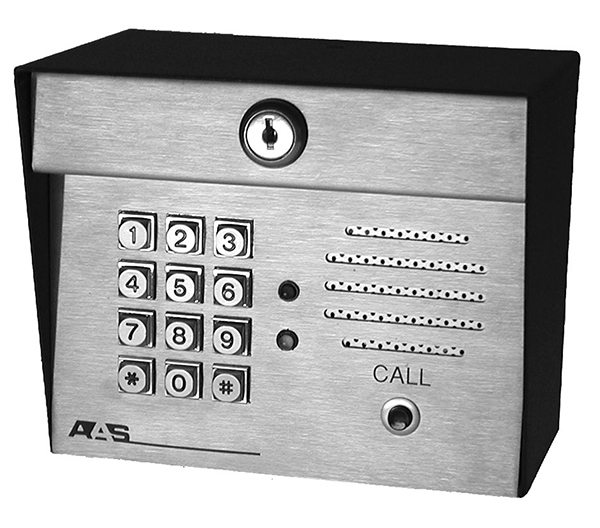 The American Access Systems AAS 12-000i RemotePro KP Wiegand output keypad with a built-in intercom can help you expand your access control system. Wire this remote with slave port to your new or existing master access control station. A call button and 8-ohm speaker are included. The AAS 12-000i RemotePro KP from North Shore Commercial Door is compatible with security management systems using a 26-bit Wiegand protocol. For example, this unit can operate in conjunction with the AAS Advantage DKS II keypad controller and the AAS ProAccess 200 multiple-door controller. If you’ve got questions, contact our expert staff. The required input is 9 to 12 volts of DC current provided by the master controller. This AAS remote keypad unit can operate in temperatures ranging from -15 degrees to 175 degrees Fahrenheit. A two-year limited warranty is standard.